St. Jakob-Stadion was built to serve as one of the playing venues for the 1954 World Cup. Construction of the stadium started in 1953 and finished only 12 months later. 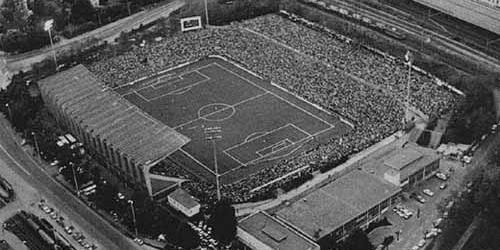 St. Jakob-Stadion officially opened on the 25th of April 1954 with a friendly match between the Swiss and German national teams. 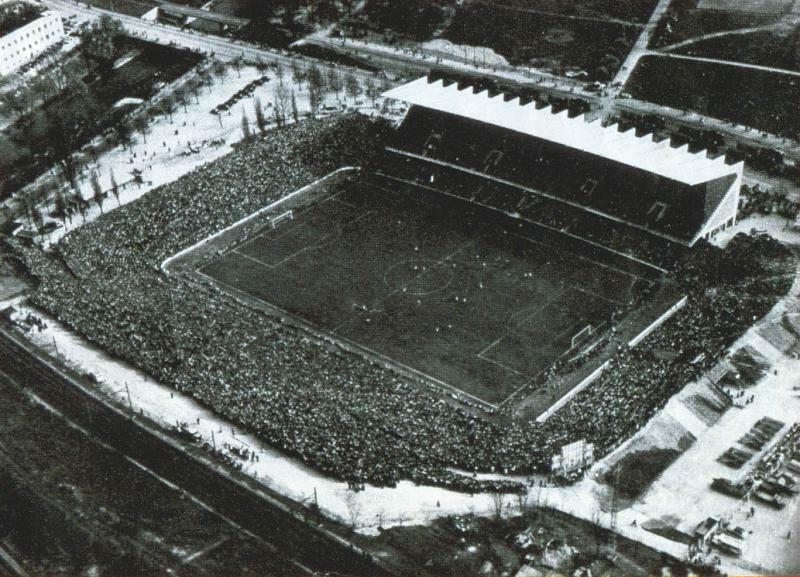 The stadium could hold about 51,500 spectators back then and would soon get nicknamed “Joggeli”. During the 1954 World Cup, St. Jakob-Stadion hosted four group matches, one quarter-final, and the semi-final between West Germany and Austria (6-1). After the World Cup the stadium was only used for the occasional international or high-profile match of FC Basel as Basel kept playing their regular home matches at their Landhof ground. Only when their popularity started growing in the 1960s, they permanently moved to the St. Jakob-Stadion. 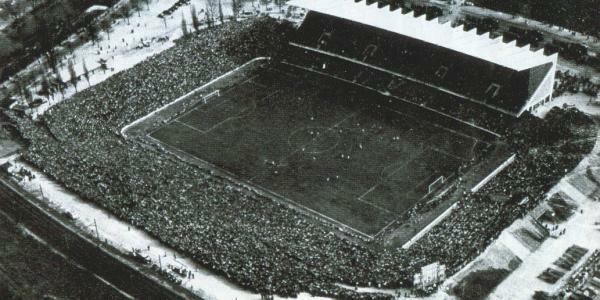 St. Jakob-Stadion hosted its first Cup Winners’s Cup final in 1968 when Slovan Bratislava beat Barcelona 3-2, and in only fifteen tears time three more would follow: the first in 1974 between Dynamo Kiev and Ferencváros (3-0), the second in 1978 between Barcelona and Fortuna Düsseldorf (4-3), and the third in 1983 between Juventus and FC Porto (2-1). Over the years capacity had first increased further to about 60,000, but then decreased again by the 1990s due to safety measures, resulting in a final capacity of 36,800 places. By the 1990s St. Jakob-Stadion had significantly aged and the city of Basel therefore started exploring the possibilities of building a new modern arena, which got built in the form of St. Jakob-Park. The last match at the old ground got played on the 13th of December 1998 when FC Basel hosted FC Lugano. Soon after St. Jakob-Stadion got demolished and replaced by the new St. Jakob-Park, which opened in 2001.